Elegant Artists, equipped with every comfort and the most modern musical instruments, and the guarantee of an impeccable service. Around Town Entertainment is an ideal agency for your wedding, Galas & Charities Events Corporate meetings and Bar Bat Mitzvahs, as well as for cultural events and for all events in which professionalism and organization can make a memory to remember. Around Town Entertainment designs each wedding event around the specific musical taste of our bride and groom, playing only their favorite songs! 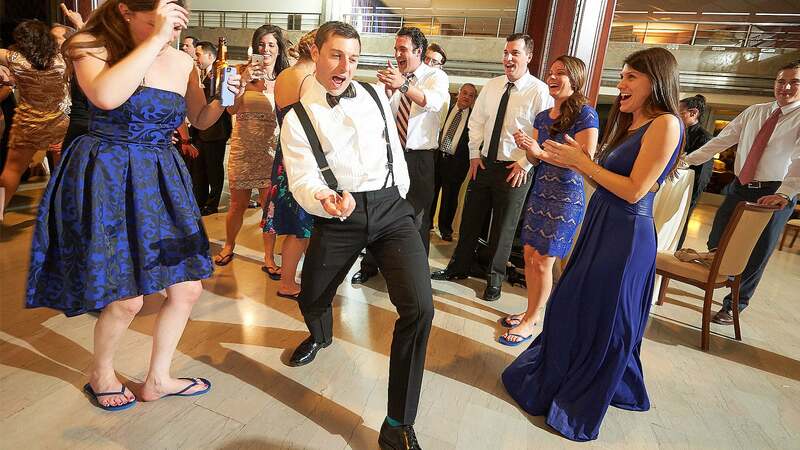 While being more of the high energy styled dance band, we always take more of a sophisticated approach to each event to create the best wedding entertainment. We are not the typical wedding band! We play an eclectic mix of songs chosen from our extensive library of songs. Our song list exceeds 1000 selections. We understand that our corporate clients are looking for the highest level of professionalism to represent their brand.Our professionals design just the right music entertainment program for each corporate event. Whether our client is looking for a high energy dance band, or a more relaxed and sophisticated ensemble, Around Town Entertainment will accommodate by selecting just the right group and the perfect repertoire for each event.When looking for New York City corporate entertainment, Connecticut corporate entertainment, and New Jersey corporate entertainment, it is important to find a corporate entertainment company with the most pristine reputation. Around Town Entertainment has a pristine reputation in the industry and has many industry awards for success with corporate event clientele. We work with each corporate client to make certain that we have your vision, and that we deliver the finest music accordingly. It is also incredibly important to work with a New York corporate entertainment company that understands the importance of being responsive and always available for each of our corporate clients. Whether planning and organizing your New York Corporate event or international corporate event it takes a team of highly experienced entertainment professionals. Around Town Entertainment has been providing New York City corporate entertainment, Connecticut corporate entertainment, and New Jersey corporate entertainment for over a decade.We are recognized in some of the most prestigious event spaces for our level of professionalism and performance. Whether performing for a crowd of one hundred guests or five thousand guests, the level of importance is the same when it comes to the New York City corporate entertainment, Connecticut corporate entertainment and New Jersey corporate entertainment. When creating an event such as a charity event, fund raiser or Gala, it is important to choose an entertainment company with a sensitivity to every cause. Around Town Entertainment brings a spirit of positivity and compassion to each event. The right balance of music and energy can be transforming to any event. Around Town Entertainment has had the honor in working alongside some of the greatest organizations to help raise millions for incredibly worthy causes. It is always a privilege to see the great impact music can have on the success of each very important event. Around Town Entertainment is the selected entertainment company for annual galas and charity events. Around Town Entertainment is the source for all your Bar Mitzvah and Bat Mitzvah events. 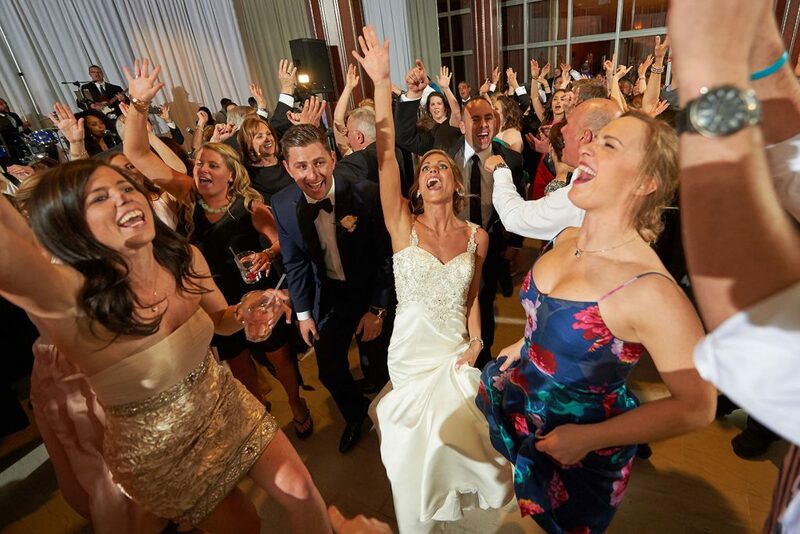 Whether you are looking for a high energy skilled DJ and Master of Ceremonies to ignite the young crowd with today’s top hits, with dance games, and activities, or looking for a live dance band to bring the level of sophistication to the event, Around Town Entertainment will bring it all to your event! This day will be one of the most important days of a child’s life. They will celebrate with their family and friends the moment that they become recognized as a young man or a young woman in the Jewish traditions and Jewish law. It comes with a great deal of Simcha, and it is the day for true celebration! Around Town Entertainment is ready to bring your Bar Mitzvah event to life with some of the most dynamic entertainers! We are known for being the best in New York Bar Mitzvah Entertainment, Connecticut Bar Mitzvah Entertainment and New Jersey Bar Mitzvah Entertainment. We work with each parent and child to truly get a sense of what is envisioned and imagined within the theme of each Bar Mitzvah event. Around Town Entertainment works only with the most skilled New York City Club style DJ’s and emcees. 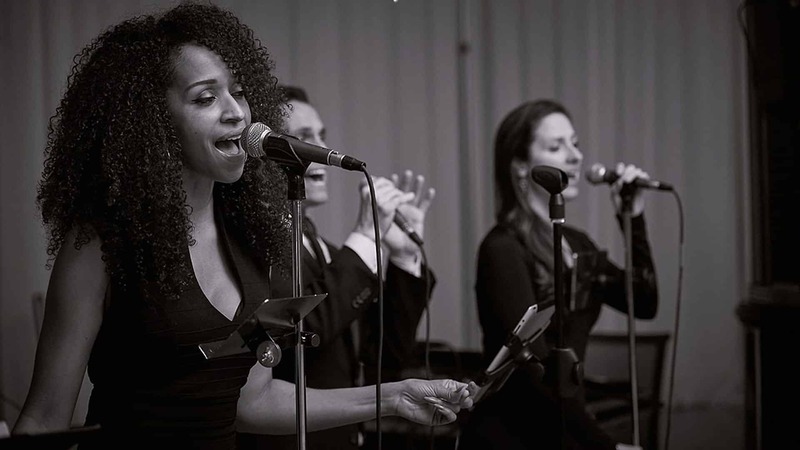 We also hire only the most seasoned and dynamic vocalists and musicians for all New York Bar Mitzvah Entertainment, Connecticut Bar Mitzvah Entertainment and New Jersey Bar Mitzvah Entertainment. We will custom design a music playlist for the candle lighting ceremony and for the dance party! We focus on high energy all the way! We do understand that there is a balance when it comes to our youngest and most mature guests and we want all to feel included, so we work with our professional sound experts to create the best atmosphere for your New York, Connecticut and New Jersey Bar Mitzvah entertainment.We have most advanced and high tech games and activities to shock and entertain even the most savvy thirteen year old and all the young guests! We also have extraordinary give away gifts that will have your guest remembering this day for a life time.We know that having the right Bar or Bat Mitzvah entertainment in New York or the most experience Bar or Bat Mitzvah entertainment in New Jersey, or the most exciting Bar or Bat Mitzvah entertainment in Connecticut comes with a great responsibility. The memories of that day’s celebration will last a lifetime. Around Town Entertainment has brought nothing but the best entertainment and rave reviews for each every New York Bar Mitzvah event. Around Town Entertainment is honored to be part of such an important day in a child’s life! Exciting entertainment to suit a wide array of tastes. Having performed for hundreds of exclusive wedding and corporate events, we truly have the experience to ignite your event!